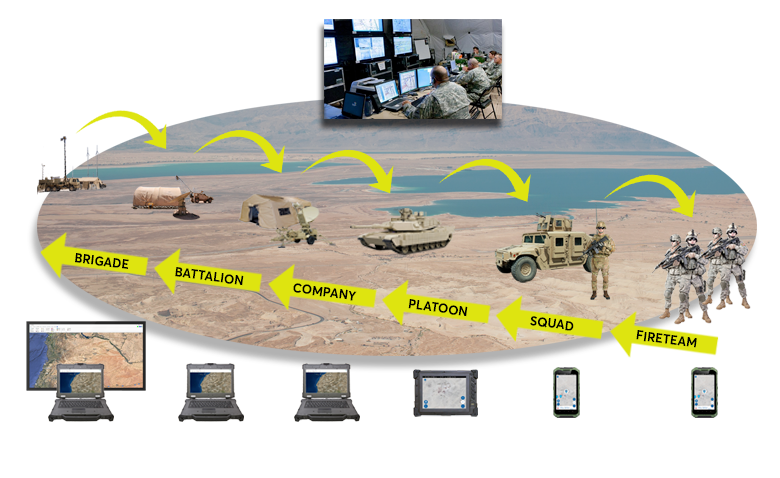 LifeRing Puts a Military Tactical Operations Center in the Palm of Your Hand. The military loadout will include MIL-STD-2525 symbols by default. LifeRing can use many military radios, private cellular networks, and satellite communications either individually or in various combinations. 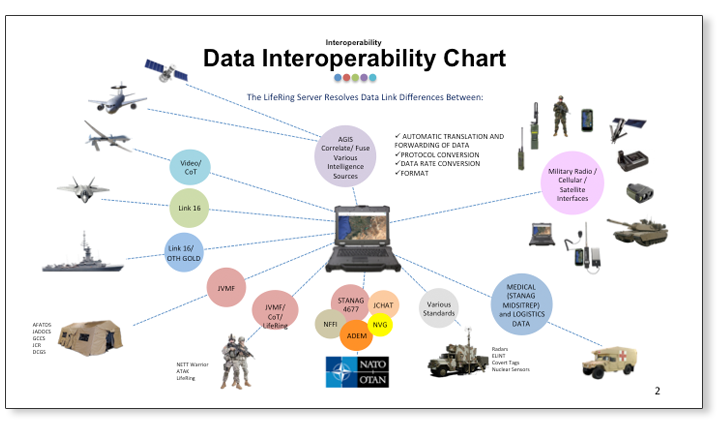 LifeRing is compatible with many countries datalink interface standards. LifeRing comes preloaded with MIL-STD-2525 symbols. Changes in symboligy can be performed to meet other countries requirements. LifeRing also interfaces with most military Command and Control Systems (GCCS, C2PC, FBCB2, JCR, Etc.) and is able to use Cellular, Military Radio, MANET, Satellites in any combination. Geo-Fence feature allows for immediate notification when personnel enter or exit designated areas.